Gardai are becoming increasingly concerned that a number of taxi drivers are using their vehicles to move large amounts of drugs for gangs at locations throughout the capital. Sources revealed last night that gardai are planning to continue to target suspect taxi drivers in the coming weeks, after a driver aged in his 50s was arrested as part of a €200,000 drug bust last week. The driver, who has no previous convictions, was arrested in the Fairview area of the city after Traffic Corps gardai became suspicious of his driving at about 10pm last Thursday. After stopping the taxi driver, gardai noticed a strong smell of cannabis in his car and discovered a large quantity of the drug in the vehicle. The taxi driver was arrested and taken to Store Street Garda Station, and his northside home was then searched by the North Central Divisional Drugs Unit after a warrant was obtained. A woman in her 50s, who was also not previously known to gardai, was arrested at the house, where gardai found more cannabis and a large quantity of cocaine. A total of €200,000 of drugs were seized at the two locations - €56k of cocaine, as well as €100k of cannabis herb and €54k of cannabis resin. The arrested duo were released without charge on Friday and a file on the case will now be prepared for the DPP. 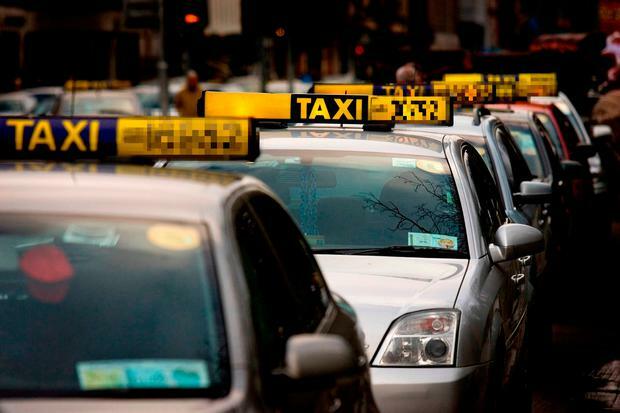 "Taxis are an almost ideal way for drugs to be moved around the city but gardai will continue to monitor this criminal activity in a major way," a source said last night. "Last week's seizure was a big one and will cause disruption to a north Dublin gang." In a separate case, it emerged in January that a Dublin taxi driver who was caught with cocaine in his car twice within a 12-month period following a sting operation can continue working as a cabbie. Barry Burns (42) turned to selling cocaine to "make a quick buck", as he needed the money to pay maintenance for his three young children, Swords District Court heard. Gardai set up a surveillance operation on suspected drug dealing and stopped Burns, who was driving a silver Skoda taxi, on the Glen Ellan Link Road on February 6, 2016. They searched the vehicle and Burns handed over one deal of cocaine. Gardai later retrieved a further six deals of cocaine, with a total value of €525. Burns was arrested and made admissions. A year before that, on February 7, a warrant was executed at a premises in Swords and Burns was parked in the driveway with €75 of cocaine in his car. Burns, of Bath Road, Balbriggan, Co Dublin, pleaded guilty to two counts of the sale and supply of drugs. The case was struck out after Burns made a €1,000 charitable donation.